If you are interested in improving your life, one of the first things you must do is work to perfect your energetic integrity. Your energetic integrity is regulated by your actions and thoughts; whether they are positive or negative makes a big difference. One of the first steps to perfecting energetic integrity is to purify, detoxify, and cleanse your body and eventually your soul through nutrition, proper sleep, exercise, emotional release, and meditation. If you are like me and are also working on this process, Hydro Water Therapy is a great boost for your system as you begin the purification process. A great and affordable place to go (if you are in Toronto and happen to be a woman) is Body Blitz Spa. For $60 you enjoy 2 hours of literal bliss. 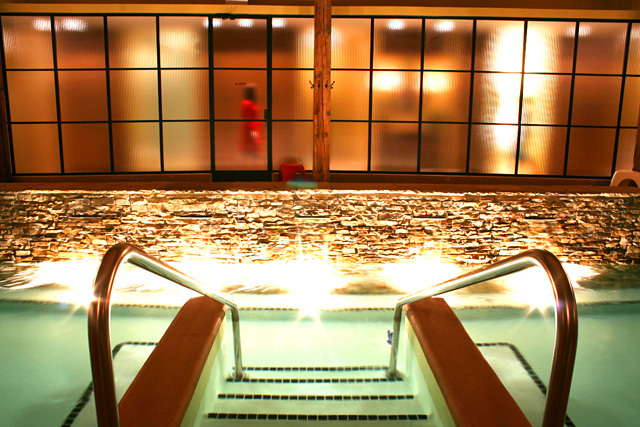 The circuit takes you through a circuit of water therapies: Salt Water Bath, Eucalyptus Steam Room, Salt Water Cold Plunge, Infrared Sauna, and Green Tea Hot Tub which work to relax your body, stimulate your lymphatic system, and detoxify. I highly recommend this type of treatment if you are interested a jump start to change!